New Delhi, December 9, 2016: In a path-breaking innovation for the Indian cruise industry, TIRUN, the exclusive India Representative for Royal Caribbean Cruises Ltd., has launched one of its kind virtual reality application which allows users to virtually travel on a cruise through their smartphones. The app offers tours of Royal Caribbean cruise ships, letting potential guests embark on virtual walkthroughs of staterooms, liner decks and much more- offering them an almost-real idea of the splendours that await them on board. This app perfectly replicates the on-board experience and further fortifies TIRUN's leadership stance as the most innovative travel marketing company in India. Cruising is still considered a niche tourism category by most in India, with a majority of customers not being fully aware of what a cruise vacation really has to offer. TIRUN's virtual reality app is here to change this scenario, by making the cruise experience familiar to Indian travelers, especially those from tier II and III cities. This app is also aimed at being beneficial in the B2B realm, as trade partners can now market packages more easily, with potential guests being able to get tangible glimpses of the vacation they plan to book. TIRUN Chief Executive Mrs. Ratna Chadha elaborated on the one-of-its kind app, commenting, "We are thrilled to launch this application for the cruise industry. Virtual reality has made its way into many aspects of sales and marketing and it is our constant Endeavour to popularise the concept of cruising in India by using this technology. By offering our distribution and potential customers a dekko of how magnificent the on-board experience really is, the application is sure to propel more and more customers to get aboard to relish the real deal on one of the Royal Caribbean cruise ships." TIRUN Travel Marketing is committed to making cruises affordable and accessible for Indian customers. 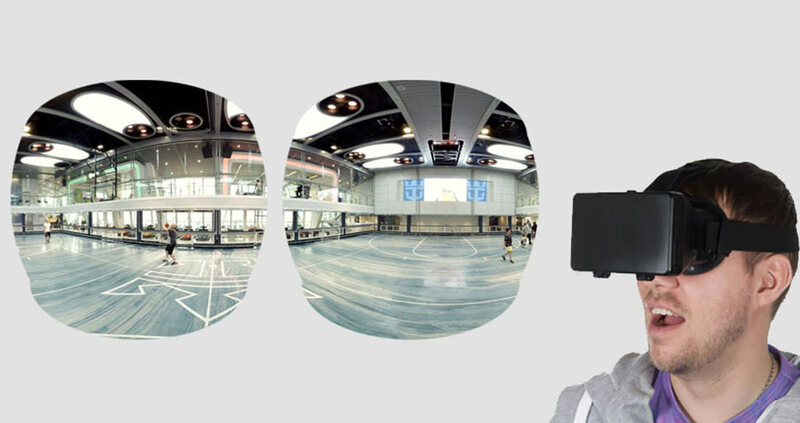 The groundbreaking virtual reality app is one more addition to the leading travel marketing company's endeavour to constantly innovate the sales and advertising operations for cruise lines in all major cities of the country. TIRUN is currently India's most invested and experienced Cruise Company and is poised to expand its presence to more and more regions in the coming years. TIRUN Travel Marketing is the exclusive India Representative for Royal Caribbean Cruises Ltd. with a portfolio of 3 of its cruise brands including Royal Caribbean International, Celebrity Cruises and Azamara Club Cruises. A leading travel marketing company, TIRUN along with Royal Caribbean Cruises Ltd. pioneered the concept of cruising in India in 1993 and continues to successfully undertake exclusive sales and marketing for the various brands while also providing operational support pan-India. Headquartered in New Delhi, the company has on ground presence in Mumbai, Ahmedabad, Bangalore, Chennai, Cochin, Pune & Kolkata. Today TIRUN is the most invested and experienced cruise company in the country.